I feel for the French. I remember how I felt on 9/11, and for quite a while afterwards. Following the terror attacks in Paris, I feel that way again. Only now I am far less optimistic that our leaders will do what is necessary to protect us and to defeat the evil doers. I don’t think they’re gaining strength, What is true is that from the start, our goal has been first to contain and we have contained them. They have not gained ground in Iraq, and in Syria they’ll come in, they’ll leave, but you don’t see this systemic march by ISIL across the terrain. No, we don't see a "systemic march by ISIL across the terrain." We see a horrific terror attack in Paris after an ongoing Islamic invasion of Europe, which Obama wants to extend here by transporting tens of thousands of Syrian War "refugees" to the U.S.
We could see this coming. In February DAESH (Islamic State) threatened to send 500,000 migrants to Europe as a psychological weapon to cause chaos. We saw it first in Greece as the migrants started landing on Greek islands, in all sorts of water craft, after hundreds had died trying to cross the Mediterranean from Libya to Italy. Shortly thereafter it was the chaos in Calais as thousands of the migrants tried to storm their way into the Chunnel to get to Britain. Next the migrants began to storm police lines to cross into Macedonia from Greece. Then by the hundreds of thousands they continued to break all kinds of barriers and go wherever they choose. Instead of intercepting the so-called refugees at sea and returning them to their point of origin, European leaders welcomed them. They [Republicans] are calling for increased U.S. footprint in the Middle East, including "boots on the ground," a halting of plans to increase the numbers of Syrian refugees to the U.S., and an increase in the role of the National Security Agency in surveillance and intelligence-gathering capabilities. Consult closely with our NATO allies who may be targeted for additional attacks. Immediately declare a halt to any plans to bring refugees that may have been infiltrated by ISIS to the United States. Redouble our efforts to prevent ISIS agents from penetrating our nation by other means. Recognize that our enemy is not 'violent extremism.' It is the radical Islamism that has declared jihad against the west. It will not be appeased by outreach or declarations of tolerance. It will not be deterred by targeted airstrikes with zero tolerance for civilian casualties, when the terrorists have such utter disregard for innocent life. Make it crystal clear that affiliation with ISIS and related terrorist groups brings with it the undying enmity of America—that it is, in effect, signing your own death warrant. You can read the full Cruz statement below. These attacks underscore that we are facing an enemy who is fierce, who is relentless, who is at war with us even if our own president does not understand that it is at war with us, and who will not stop until it is defeated. That enemy is radical Islamic terrorism. As long as we have a Commander-in-Chief unwilling to even utter the words radical Islamic terrorism, we will not have a concerted effort to defeat these radicals before they continue to murder more and more innocents, whether Europeans or Israelis or Americans. You know President Obama and Hillary Clinton’s idea that we should bring tens of thousands of Syria Muslim refugees to America is nothing less than lunacy. If you look at the early waves of refugees that have flooded into Europe one estimate was that 77 percent of those refugees were young men, that’s a very odd demographic for a refugee wave. The director of national intelligence here in America has said of those refugees in Europe, it is clear that a significant number of them may well be ISIS terrorists. It makes no sense whatsoever for us to be bringing in refugees who our intelligence cannot determine if they are terrorists here to kill us or not. Let me tell you what that would look like. That would look like number one, using overwhelming military power, particularly air power. You know in the first Persian Gulf War we had roughly 1,100 air attacks a day. Obama right now is doing 15 to 30 attacks a day. It's pinprick, it's photo op foreign policy. Number two, we should be arming the Kurds. The Kurds are on the ground fighting ISIS. They are fierce allies of ours. They're out armed, and yet they are our the boots on the ground and Obama for political reasons, he doesn't want to upset Baghdad so he won't arm the Kurds. In a Cruz Administration we would be using overwhelming air power and the Kurds as our boots on the ground, and it would be clear to any militant on the face of the earth if you go and join ISIS, if you wage jihad against America, you're signing your death warrant. America must stand with our allies against the scourge of radical Islamic terrorism. This is an evil that does not discriminate between French, German or American, Christian, Muslim or Jew, soldier, football player, or concert goer. Their only goal is to murder those who do not submit to their vicious, totalitarian ideology. Our deepest condolences go out to our French allies, and I know the government of the United States stands by to offer any assistance necessary. Such steps, however, are defensive reactions to an enemy that will continue to try to attack us until they succeed once again. We must immediately recognize that our enemy is not 'violent extremism.' It is the radical Islamism that has declared jihad against the west. It will not be appeased by outreach or declarations of tolerance. It will not be deterred by targeted airstrikes with zero tolerance for civilian casualties, when the terrorists have such utter disregard for innocent life. We must make it crystal clear that affiliation with ISIS and related terrorist groups brings with it the undying enmity of America—that it is, in effect, signing your own death warrant. We must engage and destroy the radical Islamic evil doers that continue to wage war against us. Shortly after it was published, the editorial, which had been called "damning," was toned down. I was fortunate to have snipped a copy of the original version which is displayed above. The softened version changed the highlighted sentence to "The administration has now lost all credibility on this issue." That change makes a huge difference in meaning and tone. In making the change, which the Times has yet to disclose or acknowledge, the editorial board sacrificed its credibility for Obama's. One can only imagine the phone call between the editorial board and the White House (and maybe the National Security Agency (NSA) eavesdropping). We should not expect more from the Times. After all, when the Times first revealed the NSA terrorist surveillance program, it did so after sitting on the story for a year. Senator John Cornyn accused the Times of endangering American security to help James Risen sell his new book. And the Washington Post similarly took the Times to task. Back in those days I wasn't particularly bothered by the NSA's secret program to intercept al Qaeda communications. I don't think the program described by Attorney General Gonzales would bother me much even today. According to Gonzales, President Bush authorized a program that made electronic intercepts of contents of communications only where one party to the communication is outside the United States. That program was limited to situations where there was a reasonable basis to conclude that one party to the communication was a member of al Qaeda, affiliated with al Qaeda, or a member of an organization affiliated with al Qaeda, or working in support of al Qaeda. The untargeted and overbroad collection the telephone records of millions of US customers of Verizon revealed by The Guardian is a whole different matter that I cannot accept. I came in with a healthy skepticism about these programs. My team evaluated them. We scrubbed them thoroughly. We actually expanded some of the oversight, increased some of the safeguards, But my assessment and my team's assessment was that they help us prevent terrorist attacks. And the modest encroachments on privacy that are involved in getting phone numbers or duration without a name attached and not looking at content, that on net, it was worth us doing. Some other folks may have a different assessment of that, but I think it's important to recognize that you can't have 100% security and also then have 100% privacy, and zero inconvenience. We're going to have to make some choices as a society. You can watch Obama defend his phone spying program in this video. Two things about Obama's weak defense of his telephone spy program. First, we can not make choices about balancing security versus privacy if everything is top secret. Second, Obama said during his first inaugural address that "we reject as false the choice between our safety and our ideals." How can he square that with what he said today? Gallup's Presidential Election tracking poll for September 5-11 had President Obama leading Governor Romney by seven points 50% to 43%. Now the Gallup tracking poll shows that Obama's seven point lead has gone up in the smoke from burning U.S. embassies. For the last two days Obama only leads Romney by a single point. That is why the biased media wing of the Democrats' party is desperately trying its darnedest to convince you the election is over. As Obama's convention bounce rose to seven points, we saw the smoke from the burning U.S. Consulate in Benghazi, Libya and we saw the smoke from the remains of the stars and stripes that riotous Muslim mobs pulled down from the U.S. Embassy in Cairo, Egypt. We also learned al Qaeda attacked the American-lead multinational peacekeeping force in the Sinai. They also attacked a U.S. Marine base in Southern Afghanistan in an effort to kill Britain's Prince Harry. The next day, September 12, we learned that four Americans, including U.S. Ambassador Stevens, were killed in what the Obama regime finally admits was a terrorist attack in Benghazi. We also saw the smoke from the U.S. Embassy in Tunis, Tunisia, as more riotous Muslim mobs attacked there, in Khartoum,Sudan and Sana'a, Yemen. On September 13, we learned that Obama did not attend any of his daily intelligence briefings since September 5. Obama didn't care enough about the fact that our adversaries are known to use the anniversary of 9/11 to target the United States to attend intelligence briefings during the six days before the terrorists' 9/112012 offensive. American Crossroads took Obama to task for his lackadaisical approach to critical foreign policy issues in this hard hitting video. On September 16, we saw Susan Rice, Obama's ambassador to the United Nations, appear on several of the Sunday morning news shows and mislead the American people by claiming the vicious attack on the U.S. Consulate in Benghazi was unplanned and provoked only by an anti-Islam video. The hateful Muslim mobs have continued their rioting against American and the Obama administration was forced to close the U.S. consulate in Medan, Indonesia on September 19, due to ongoing "protests." An event which disproves Obama's naive belief that he could just say nice things, and because he had lived in Islamic country of Indonesia during his youth and his half-sister is Muslim, the Muslim hate for America would dissipate. On September 21, all U.S. diplomatic missions in Indonesia will be closed. So it is not at all surprising that the latest NBC News/Wall Street Journal poll finds that Obama's approval rating on foreign policy has dropped five points since August. Now, only 49 percent approve of the president's job in handling foreign policy. Last month, 54 percent approved of Obama's foreign-policy handling. Worse, only 41 percent of Independents approve of Obama's foreign-policy handling, versus 53 percent who did so last month. The biased media incorrectly insisted Romney was wrong to Obama's incoherent response to the Cairo debacle, and to question Obama's now discredited policies of appeasement and apology that have left us so dangerously vulnerable in the Middle East and still hated in the Muslim world. The lesson to be learned from the terrorists' 9/11/12 offensive is that despite Obama's protestations to the contrary, the War Against Terror is not over, and Governor Romney was right to criticize Obama for sending mixed signals about the violence of the hateful Muslim mobs. Susan Rice, Obama's ambassador to the United Nations, appeared on several of the Sunday morning news shows and mislead the American people by claiming the vicious attack on the U.S. Consulate in Benghazi that killed four Americans, including Ambassador Christopher Stevens, was unplanned and provoked only by an anti-Islam video. On CBS’s "Face the Nation," Libya’s head of state, Mohamed Yusuf al-Magariaf, president of Libya’s General National Congress, said that the attack on the U.S. Consulate was "preplanned, predetermined." You can watch Mohamed Yusuf al-Magariaf's comments here. "Based on the best information we have to date ... it began spontaneously in Benghazi as a reaction to what had transpired some hours earlier in Cairo, where, of course, as you know, there was a violent protest outside of our embassy sparked by this hateful video. But soon after that spontaneous protest began outside of our consulate in Benghazi, we believe that it looks like extremist elements, individuals, joined in that effort with heavy weapons of the sort that are, unfortunately, readily now available in Libya post-revolution. And that it spun from there into something much, much more violent.... We do not have information at present that leads us to conclude that this was premeditated or preplanned.”“Based on the best information we have to date ... it began spontaneously in Benghazi as a reaction to what had transpired some hours earlier in Cairo, where, of course, as you know, there was a violent protest outside of our embassy sparked by this hateful video. But soon after that spontaneous protest began outside of our consulate in Benghazi, we believe that it looks like extremist elements, individuals, joined in that effort with heavy weapons of the sort that are, unfortunately, readily now available in Libya post-revolution. And that it spun from there into something much, much more violent.... We do not have information at present that leads us to conclude that this was premeditated or preplanned." Rice's comments were so misleading that even a member in good standing of the biased so-called fact-checking wing of the Democrats' party, the Washington Post's Glenn Kessler, awarded Rice two Pinocchios. The attack that killed Ambassador J. Christopher Stevens and three other Americans took place on the 11th anniversary of the Sept. 11 attacks. That may simply be a coincidence, but if so, it would be a pretty big one. In his interview, Mohamed Yusuf al-Magariaf, the president of Libya’s National Congress, said Libya had arrested 50 people, many connected to al-Qaeda. 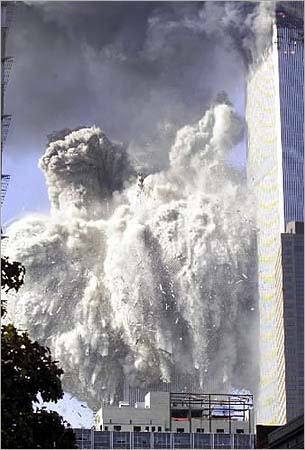 That would certainly bolster the notion that the date — Sept. 11 — was not a coincidence. One media report claims that key documents, including one with the names of Libyans working with Americans, were taken from the consulate. That same report, in the Independent, quotes a Libyan military official as saying that a separate safe house also came under attack: "The building then came under fire from heavy weapons. 'I don’t know how they found the place to carry out the attack. It was planned, the accuracy with which the mortars hit us was too good for any ordinary revolutionaries,' said Captain Obeidi. 'It began to rain down on us, about six mortars fell directly on the path to the villa.'" News services reported last week that Undersecretary of State Patrick Kennedy, briefing lawmakers last week, said the attack appeared to be planned because it was so extensive and because of the “proliferation” of small and medium weapons at the scene. That also would seem to contradict Rice’s stance. According to ABC, while Rice pointed to anger at an anti-Muslim film that appeared on YouTube as the spark for the demonstration, Doherty’s mission suggests that there were aspects of U.S. policy that may have directly affected militants in the country — and angered them. That also would strengthen the case that this was a planned attack. "According to senior diplomatic sources, the US State Department had credible information 48 hours before mobs charged the consulate in Benghazi, and the embassy in Cairo, that American missions may be targeted, but no warnings were given for diplomats to go on high alert and 'lockdown', under which movement is severely restricted." Nor did Kessler emphasize the CNN report that American intelligence warned the embassy in Egypt. "A U.S. official told CNN's Suzanne Kelly that American intelligence was sufficiently concerned about the attention the movie was receiving online to warn the embassy in Egypt in a bulletin a few days before protesters stormed that compound in Cairo on Tuesday, the same day the consulate in Libya was attacked by armed militants." Rice's misleading Pinocchio statements are a sign that the Obama campaign is desperate to prevent American voters from learning that Obama failed to take proper and necessary measures to protect U.S. diplomats from a terrorist attack on the anniversary of the 9/11 attacks. 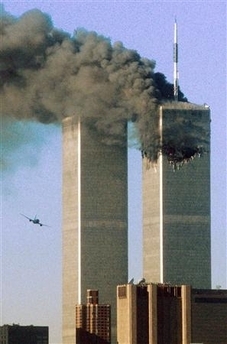 Like many Americans I spend time on September 11 contemplating the terror attacks. This year my contemplation didn't end on the 11th. I have spent the entire week watching as riotous Muslim mobs, first in Egypt, then Libya, Tunisia, Yemen and Sudan attack U.S. embassies espousing hate for American values and belief. It got much worse. The hateful Muslim mobs multiplied throughout the Muslim world, even in countries not considered Muslim, such as Britain and Australia. And al Qaeda went on the offensive. Under the cover of the rioting Muslim mobs in Benghazi, terrorists viciously attacked the U.S. consulate killing four Americans including Ambassador Christopher Stevens. That was the first time an American Ambassador had been murdered in the line of duty since the Carter administration. Al Qaeda didn't stop there. They attacked the American-lead multinational peacekeeping force in the Sinai. They also attacked a U.S. Marine base in Southern Afghanistan in an effort to kill Britain's Prince Harry. So there was much to contemplate on this extended anniversary of 9/11. The lessons to be learned from the terrorists' 9/11/12 offensive are despite Obama's protestations to the contrary the War Against Terror is not over, and Governor Romney was right to criticize Obama for sending mixed signals about the violence of the hateful Muslim mobs. Obama is so wrong here. His naivete has always been there for us to see. On November 21, 2007, presidential candidate Obama said, "The day I'm inaugurated Muslim hostility will ease." He actually thought he could just say nice things, and because he had lived in an Islamic country during his youth and his half-sister is Muslim, the Muslim hate for America would dissipate. Well perhaps the Muslim hate for America didn't diminish while President Bush was prosecuting the War Against Terror. But we never saw an uprising or offensive like this during his war, because those that hate us respect strength. Obama sees things differently. His administration says "the war on terror is over," and Obama won't even use the term "war on terror." So yes, Governor Romney was entirely correct to criticize Obama's incoherent response to the Cairo debacle, and to question Obama's now discredited policies of appeasement and apology that have left us so dangerously vulnerable in the Middle East and still hated in the Muslim world. The most important lesson of the week is that we now know that the Obama Administration has put us right back where we were 11 years ago before 9/11. That is why yesterday we saw Obama's Press secretary flat out said that the hateful Muslim uprising -- formerly known as the Arab Spring, and the murder of an American ambassador was exclusively the result of a silly amateur video - despite the evidence to the contrary. This statement and appearance was a turning point. Why? Not because it flies in the face of the evidence. But because it shows EXACTLY why we're in the position we're in under Obama. Team Obama just doesn't understand that terrorists hate America, not a "video" that was used as a diversion to kill Americans. This video of makes this point.